Welcome to our April Newsletter on the topic of: Prevent Running Injuries With the Mind and Body Connection. We hope you enjoy this month's article and we hope that it is beneficial to you on your journey to running injury free. As always, we welcome your feedback, comments and suggestions. Please add your comments below. Do you suffer from re-occurring injuries? Or are you worried that you may develop an injury that will prevent you from running as much as you would like? 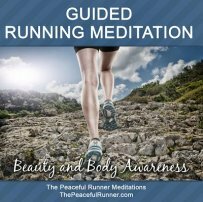 Maybe it is possible that you have the power within you to prevent and even cure running injuries. Our mind and body connection is a powerful tool that we have not been using to its full capacity. Researchers and scientists are continually finding evidence of the mind and body connection and the ability of our minds to control and even cure our bodies. Bruce Lipton, Stem Cell Biologist, and author of The Biology of Belief and Spontaneous Evolution is an internationally recognized leader working to bridge the gap between science and spirit. His research demonstrates the mind and body connection and the mind’s ability to control bodily functions. He believes that we already have the ability to control our biology through our thoughts and intentions. David Seidler, author of The King's Speech , was diagnosed with cancer in 2005. Two weeks before a scheduled surgery, he began a positive visualization practice. He spent hours visualizing a clean and healthy cream-coloured bladder. When he was examined by doctors before the surgery, they could not find any trace of cancer. Jack Schwarz was a Nazi concentration camp prisoner who was tortured, beaten and starved like many others while in captivity. To survive his ordeal, he began a meditation practice. This practice strengthened his ability to physically and mentally endure pain and suffering. After his release, he continued his meditation practice and he was able to demonstrate his ability to perform several unthinkable physical feats, such as putting a six-inch sail makers’ needle through his biceps without harming himself. He was also able to self-regulate many physical processes, such as blood pressure, blood flow, heart rate, as well as controlling the pain of physical trauma. He also participated in documented experiments where he demonstrated his ability to quickly heal injuries to his body (within hours). Gregg Braden, author of The Divine Matrix , shares the story of how a woman in a hospital in China was cured of a cancer tumor in 3 minutes—all captured by on a taped video of an ultrasound screen. Gregg Braden previously worked as a Computer Scientist, Computer Geologist, and System Designer. He now works to promote his message of self-healing through bridging science with ancient wisdom. Watch this impressive example of healing energy using only human beliefs and feelings. 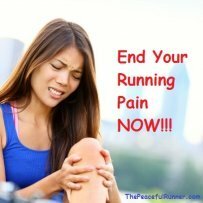 Surely if it is possible to heal cancer, control bodily functions, and overcome pain and suffering using our minds and feelings, it must be possible to prevent and heal running injuries in the same way. However, we must first believe in the healing energy available through the mind and body connection. We must believe that our injuries can be the result of negative energy and our negative reaction to the sensations we feel in our bodies. If we resist these aches and twinges, we give them strength and a place to reside in our bodies. If we allow these sensations to arise, without resistance, they can more easily subside and leave our bodies. What are these sensations that often turn into injuries and why do we have them? Through our life experiences and relationships over the years, we have developed suppressed emotions. 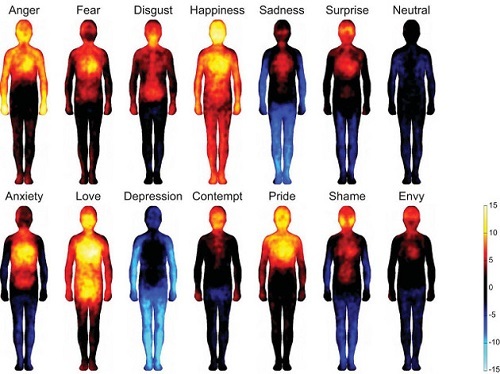 As these emotions try to leave our bodies, they are often experienced as aches and pain in various parts of our body. By resisting these sensations we are keeping them in place. If we acknowledge and release them, we can enjoy a more peaceful and pain-free existence. Try this: The next time you experience an ache or pain that feels like it may turn into an injury, place your focus on the area and just experience the feeling. Don’t resist it or wish it wasn’t there. Just let it be and notice what happens as you just sit with the feeling. Then, if the sensation comes to the surface again, just repeat the process. Keep allowing the feeling to arise as often as it needs to and notice what happens over time. Sometimes these sensations can be very persistent but don’t let them worry you. Go easy on yourself and stay positive. Remember all things are impermanent in this life. All sensations will come and go. Just allow them movement. Smile at them to generate positive energy or say something like, “bless you” or "I love you" to that part of your body. You may find one particular phrase or technique works better for you than another. Become curious about what you are feeling. Explore it with your mind without judgment. Do not wish it away or try to push it from your conscious thoughts. Allow it to exist and be present with it. Become grateful that it is already healed. You have the power within you to release illness and injuries. Take comfort in the knowledge of this truth. If you are prone to colds or headaches, use the same technique as soon as you feel something coming on. You can prevent them with your thoughts and energy in the same way. To stay healthy and injury free, we need to generate positive energy in our bodies and our environment. Energy is constantly flowing though our bodies. We can use our energy to manifest illness or health. It’s our choice. We need to learn to follow our intuition and let go of the things (and people) in our lives that do not serve our greater good. We need to allow ourselves to feel happy and enjoy our lives in the present moment. Increasing our positive emotions and releasing suppressed emotions will help to increase the flow of positive energy in our body. Meditation is very effect in helping us become aware of our emotions and our reactions to everyday events. Positive affirmations are also very effective in producing positive energy and removing limiting beliefs. Feeling gratitude will also produce positive healing energy. If you currently have an injury, you may find the following video helpful. It was created by a young man who could easily be your next door neighbor. He learned how to heal his body and in this video he explains how he healed his broken ribs. The quality of the video is not great, but hopefully, the technique he explains will be of great value to anyone who is suffering from an injury. If you have experienced a mind and body healing experience or you know of someone who has, please share it below. 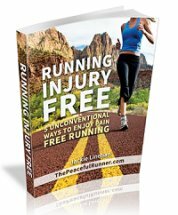 Sharing positive stories of healing will help others realize that it is possible for all of us to be healthy and running injury free forever. As always, keep running and stay happy and peaceful! Your story will appear on a Web page exactly the way you enter it here. You can wrap a word in square brackets to make it appear bold. For example [my tip] would show as my story on the Web page containing your story.